The Quinceañera is defined as the fiesta de quince años. It is also called fiesta de quinceañera or quince. It is an epic celebration of a girl's fifteenth birthday. With deep cultural roots of Latin America we celebrate throughout the Americas. This birthday celebration is unique from any other milestone. It marks the transition for a daughter from her childhood into her young womanhood. The Latin tradition tells us how girls prepare for marriage. This is by age fifteen or else they became nuns, can you imagine? In the years prior to their fifteenth birthdays, girls learn to cook, weave, and given lessons to be Mothers themselves. This is by the seasoned women in their communities. The celebrations today vary a lot. Some celebrations, for example, have taken on religious meanings. Others choose the traditional party of the ages. The grandest of parties could compares to the debutante balls. The quinceañera celebrates with great charisma holding to their Latino traditions. In Spanish, "Quinceañera" literally means "Fifteen-year-old female". It is the aspiration of each girl to have the perfect quinceanera party. What better place to start than with the Quinceanera Invitations. Many compare these events to a wedding, as the scale of the event is special. You can start by looking through wedding invitations. Add your specialized quinceanera invitation wording. This event calls for a grand princess dress. It call for the finest of tiaras for sure, as it is a big party. Even if the food is simple and you serve your guests nothing except a glorious cake. There will for sure be dancing and rich tradition to celebrate this young life. The Latin family will search for the most distinct invitaciones de quinceañeras. We are so honored to help you find the one to mirror the elegant attributes of your event. Whether your event has pops of pink. Maybe you plan on making your guests green with envy. In a greenery inspired event, we have quince invitation templates for you. Use these as your ultimate inspiration tool. Imagine your guests arriving at a peacock inspired event. An event filled with quality and grandeur. Feeling romantic? We got you, with the glitz and glamor of your daughter's Quince bash. This will for sure be one for the books, and we help you set the stage in style. What could be more important than your little girl feeling all the love of her community at her coming out party? Make a guest list and start the dream weaving. Planning your event is fun and easy, with the help of Polka Dot Design. You will achieve the quinceanera party of the year. Your little girl will have a party like she dreamed possible. Make a lasting impression on her heart and your loved ones for a lifetime. Release your inner princess and create that unique experience for your guests. Polka Dot has plenty of Quinceanera Invitations to peruse. We have ideas to fill your heart content. Don't wait any longer, it's time to let your little girl shine. Celebrate the special blessings of a young woman's life. Invites for her 15th birthday are sweet. In fact, we have sweet 16 party invites too. Honor the little girl with the words you print. 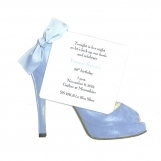 Our invitation printing services help with ideas invitations. Polka Dot's designs are sweet birthday ideas. Make that little girl smile as she comes of age. Give us a call for additional quinceanera ideas. In any young woman's life, there two major events, the memories of which she'll carry forever. One is her wedding day. The other is her 15th birthday, her Quinceanera. A Quinceanera is not only special for the young lady. It's a milestone for the parent and godparents as well. Since a girl's Quinceanera is a long-awaited event, much preparation is needed. There are a lot of decisions to make. Do you want a sparkle themed Quinceanera? The party invites need to reflect this. Who will do the cooking or catering? Does your family owe you a favor? Rally help to make the love feel complete. You will need to pick the dress. Then make sure you have photos taken to frame at the event. You can also use them for photo cards or newspaper announcements. One special detail that sets a Quinceanera apart is that you have the option for an invitation celebration! It's sweet to send a special card to your court of honor. In some circles, it's considered bad manners not to give formal card invitations to each member of your court. Choose a specific design invitation, then have two sets printed. If you are wanting to make sure your party is set apart from your friends, choose a unique theme. A Mardi Gras Quince will never be out-of-style! Using this festive street party is so easy. It is filled with a beautiful color scheme of green, purple, and gold. Mardi Gras is all about beads, and everything is polished, so make sure to include lots of glam. Gold writing on the addressing would be a fun addition. And don't forget to add a little glitter confetti to the envelopes! A black and white Quinceanera is sophisticated and oh so chic. You don't have to limit yourself to just black and white. Add a pop of red or gold or another color you love. Your dress can be white with a colorful sash at the waist. Some dresses are embellished with black embroidery. Just some fun ideas to make your's one-of-a-kind. White is always the predominant color of the dress since it is a religious celebration. Your Quinceanera invitations should be just as chic. Stick to the theme but make sure to add a bit of your own personality. Your venue will be happy to match your theme. Whether it is modern and elegant or vibrant and wild. You can create the look. You can add feathers to your centerpieces. For flowers, use white or colorful roses, with splashes of in-season foliage. Keep the dash of color going throughout the event. As for your gown, remember, this is a once in a lifetime. Take your time to look for delicate beading. Seek out a soft silhouette. Classic lines and perhaps an elegant drop-waist. Search for images of your favorite designs and then try on dresses or have one made! Remember, while it's fine to keep up with the trends for school clothes, this moment needs to be timeless. Don't hesitate to create your own style. There's nothing more beautiful than a girl who is proud of who she has become and is not afraid to shine.